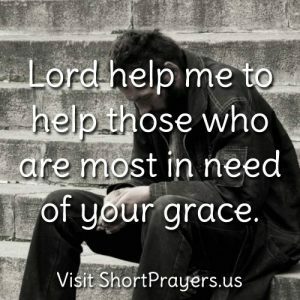 Lord help me to help those who are most in need of your grace. Helping others is what God calls each of us to do. May we answer God’s call when we see others in need. Copyright © 2018 Short prayers and devotions for those seeking a closer relationship with God.